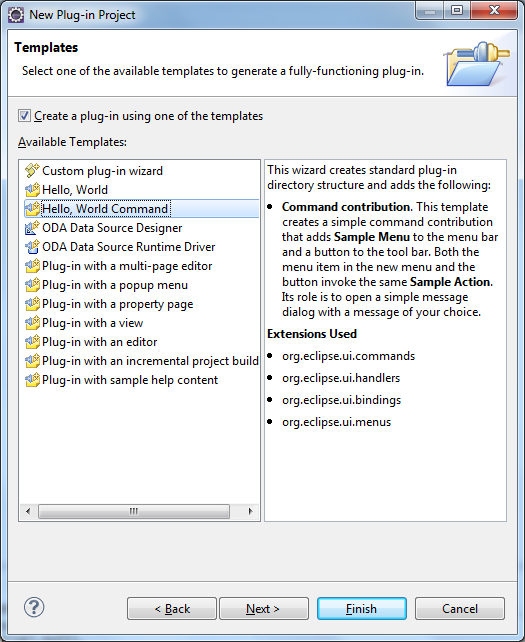 Tutorial on Eclipse plugin extension-points and extensions. 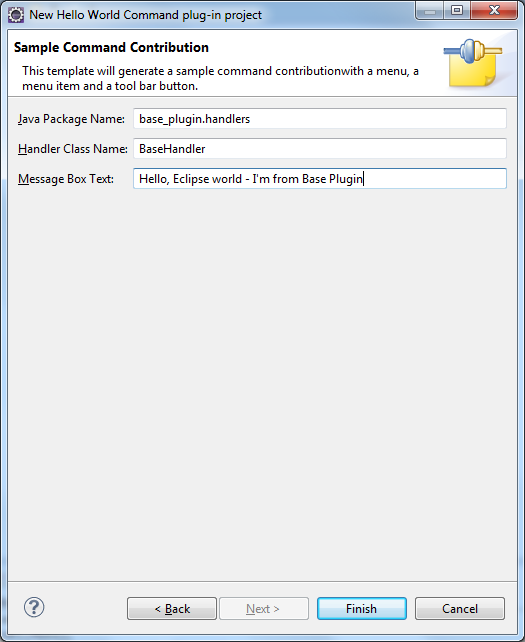 This is a basic tutorial on how to create a simple base eclipse plugin which will have extension-point defined and also creating another eclipse plugin which will have extension to hook to existing extension-point in base plugin. 1.Creating a base plugin having an extension point definition. 2.Creating an extension plugin which implements the base extension point. Creating a base plugin having an extension point definition. Now let's see how this base plugin will be created which will have definition to a extension-point. 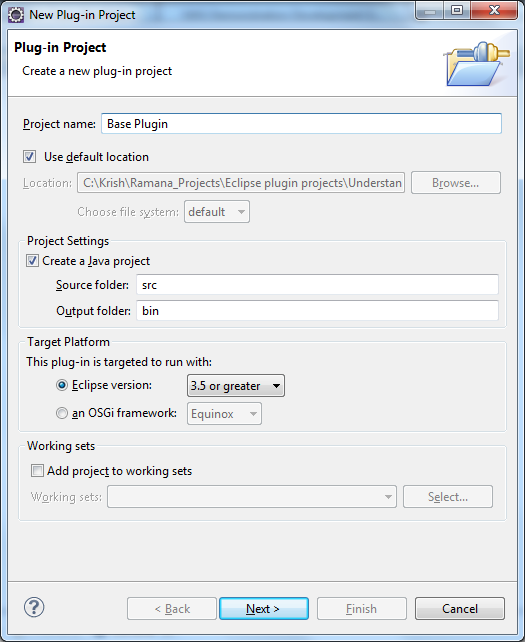 Once after opening your eclipse in plug-in-development perspective, create a new project by name Base Plugin. 3.Provide the vendor name , un-check Generate activator stuff. 5.Modify the below fields Message box Text etc..
6. Now modify the plugin.xml file in the project created to that custom menu names and sub menus will be displayed. Modified plugin XML code looks like below ..
7. 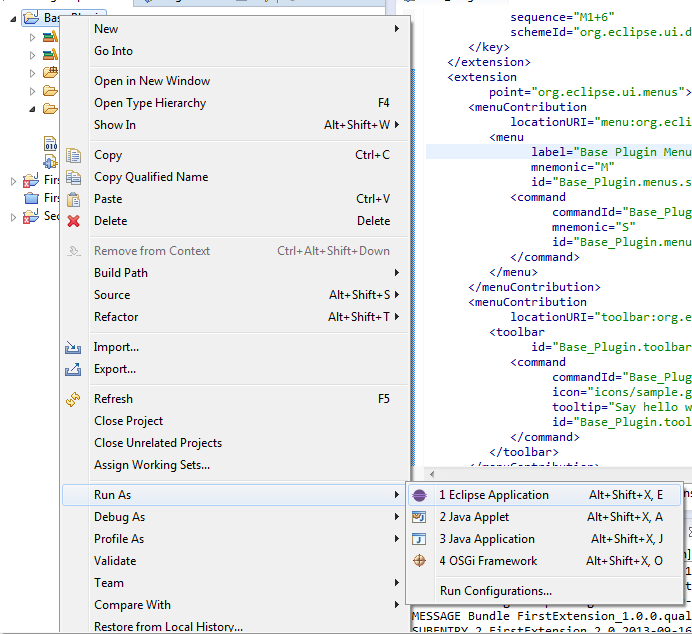 Now right click on the Base plugin project and run it as eclipse plugin project. 8. Now you should see new eclipse plugin instance opened up showing a new menu item along with the default menu items with name Base plugin command. 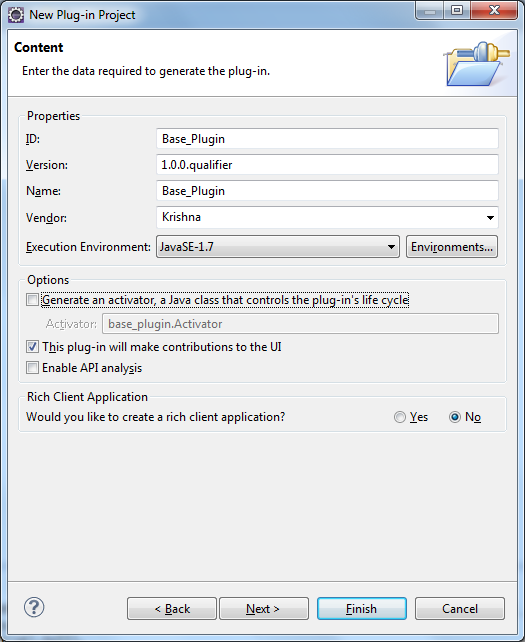 9.Just select the command and see the output for the base plugin we have created. Same post will be updated soon with steps to modify the base plugin to facilitate with definition of extension point and creating another plugin which will extend the extension defined in base with their own implementations. 0 comments to "Tutorial on Eclipse plugin extension-points and extensions - Simple step by step aproach"